Did you know that in addition to Hawai'i Volcanoes National Park, there are three smaller national park units located on the Big Island? Kaloko-Honokohau National Historic Park is home to ancient rock art, petroglyphs, and a large population of sea turtles. Pu’ukohala Heiau National Historic Park is full of trails, coastal views, and is a place of worship that was once home to the great King Kamehameha. 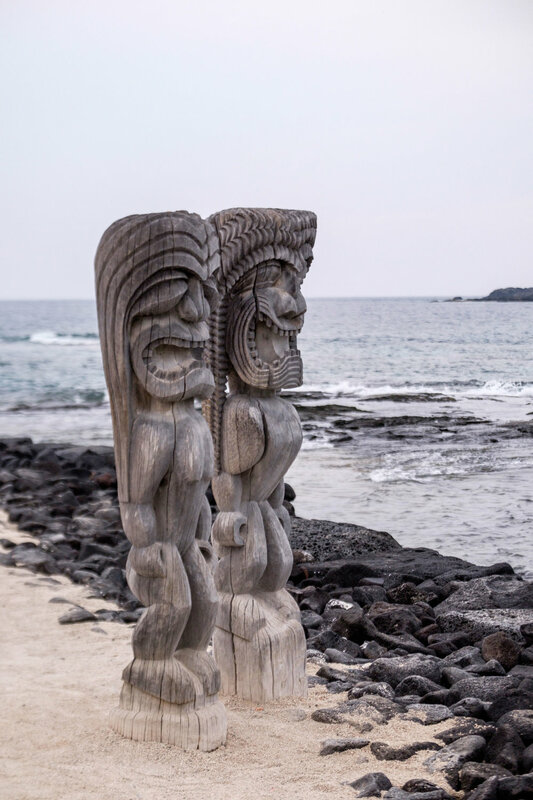 The third, and the one that we want to highlight here, is located 20-miles south of the Kona Airport, where Hawaiian Airlines will drop you off just a stones throw from an ancient Hawai'ian burial ground. 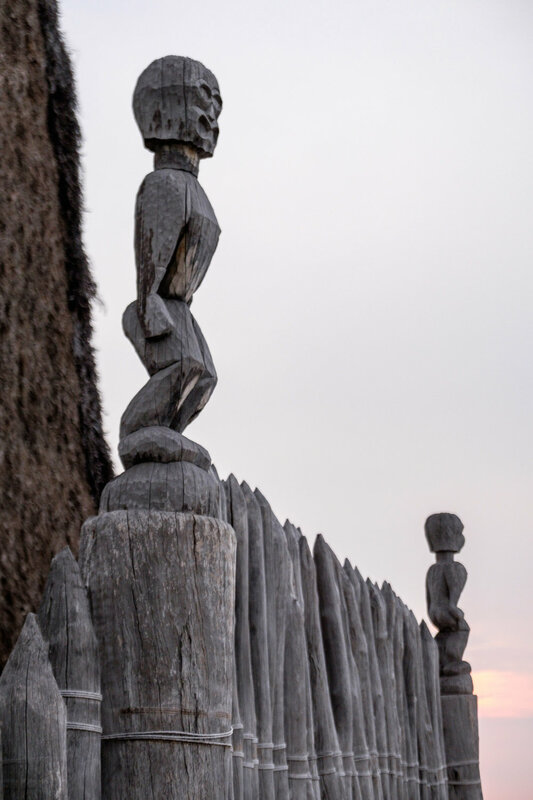 Pu'uhonua, meaning “place of refuge," is sacred royal ground. The royalty of Hawaii came here for the peace and tranquility, and it is also where lawbreakers sought safety from punishment and where wounded warriors went to heal after battle centuries ago. Today, the refuge is home to a variety of archaeological sites – carved wooden statues of the gods (Ki'i), royal fishponds, and Hawai'ian temples protected under a labyrinth of palm trees. A royal fishpond in the center of the park. 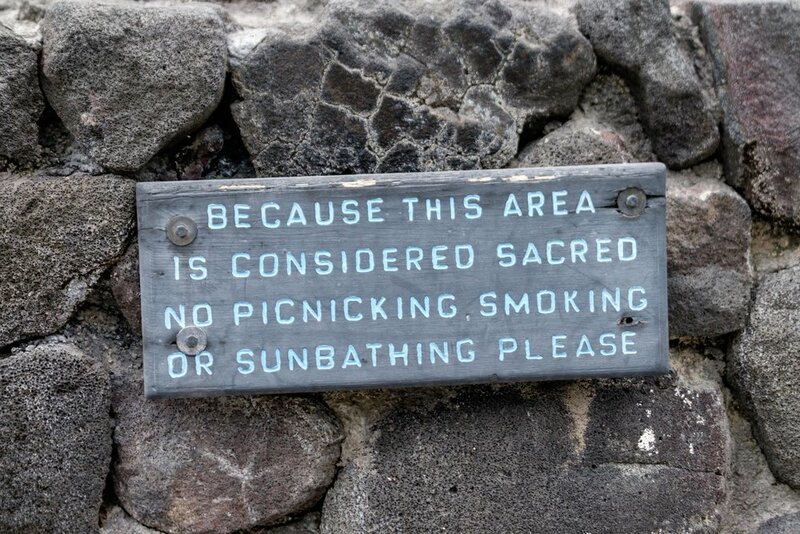 Pu'uhonua is a unique Hawai'ian beach, and because it is a sacred site and protected parkland, it is also free of tourist byproducts that tend to accompany a rowdy beach vacation (smoking, beach umbrellas, picnicking, pets, and the like are not permitted.) Pu'uhonua is a perfect half-day stop for peaceful exploration among tropical bird species that sing harmony with the drum of the Pacific seas crashing into the shores around you. Amazing! Under a canopy of palms at Pu’uhonua o Honaunau National Historical Park on the Big Island. P.S. If you have time to spare in Kona and want to eat at a local favorite, head to Killer Tacos!